Let the kids enjoy their childhood!! Purpose of this blog Though I've earlier written a couple of blogs on positive parenting, this one explains the concept in a very simple language, along with the techniques to apply it. Why do we need positive parenting I am sure each one of us is filled with joy when we are gifted with a baby. 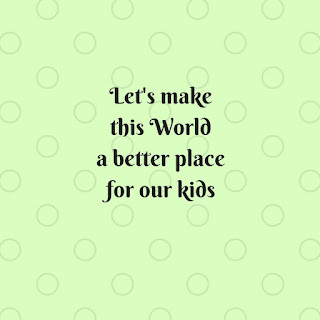 We want to raise our kids with love. Because we know what is best for them, we want them to do as we say. But as the kids grow, we are forced to raise our voices so that they listen to us. We feel guilty in being rude to them, but feel helpless because there’s no other way to make them listen. That’s the reason we need positive parenting, because this guilt should take a positive turn. There has to be a loving way to make kids listen to us, and to make us listen to them too. Yes, that’s true. We too need to listen to them, and that’s okay. Is speaking softly really tough? ?